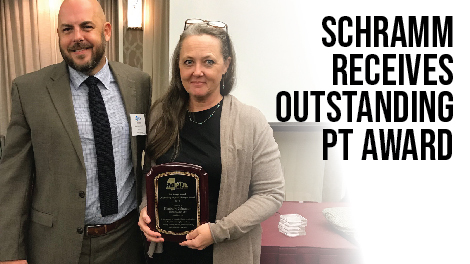 One of Hattiesburg Clinic’s physical therapists has been recognized by the Mississippi Chapter of the American Physical Therapy Association for outstanding work and dedication in her profession. The recipient must also be an active participant in chapter activities and has been a member of the MPTA for at least four years. The recipient must also have shared professional knowledge through the media or community activities and has demonstrated deep responsibility and allegiance to the patients entrusted in their care. Schramm is a physical therapist at Bellevue Physical Therapy, where she provides customized treatment programs for patients to promote optimum health and function.